For years I wanted to go and visit Cuba. In my head it was this beautiful bounty island with white sandy beaches where you could enjoy a lovely Pina Colada underneath a palmtree. In the city you’d find the men smoking their cigars while you’d hear the sound of a band playing live music in a bar around the corner. I decided I didn’t want to wait any longer and booked my ticket to paradise. ​Cuba, located in between the Gulf of Mexico, Atlantic ocean and the Caribbean sea, is only 90 miles away from the coast of The USA. On a clear day you can see this beautiful island from the coast of Key West. After the Cuban revolution the country had been politically and economically isolated by the United States. Which is a reason this country is still so authentic and unique. People still drive around in their old cars, they listen and make their own music, they are proud of their country and are simply just happy with what they have. 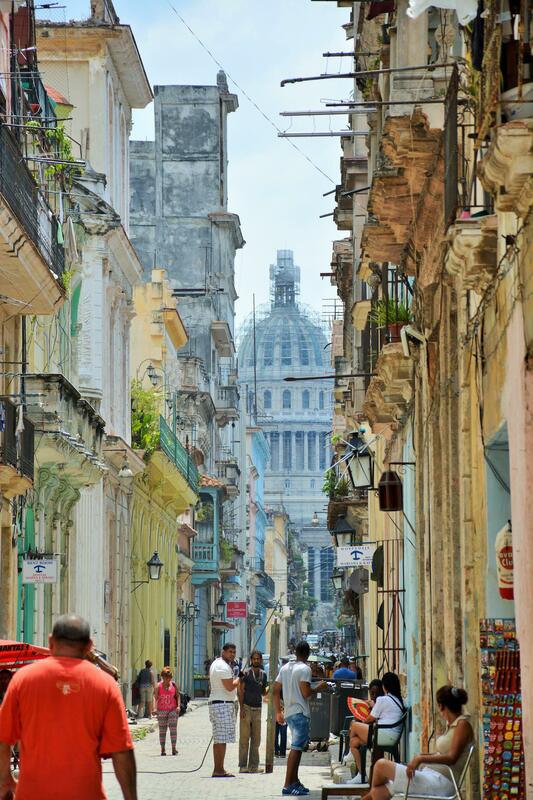 This is the atmosphere you constantly feel when you wander through the colorful streets of Havana. Every bar you pass there are people playing live music, drinking a Mojito or smoking a cigar. 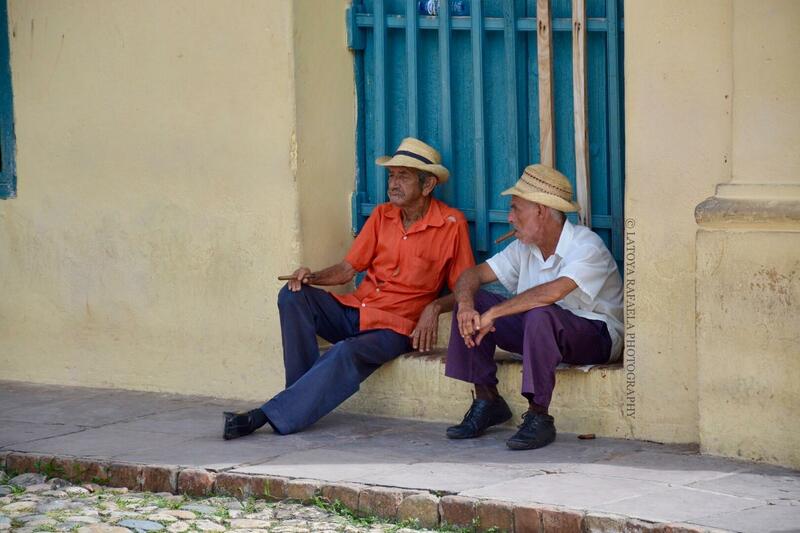 They are not shy to start a conversation and will tell you about Cuba with pride. I spend a few days in the capital Havana and absolutely loved it here! I stayed at Hotel Telegrafo, which is a short walking distance from the historic center and right across the old factory of Bacardi. The famous bar Floridita is only one street away and is perfect for a lovely drink at night or even during the day. The daiquiri’s at Floridita are well known and lovely! Writer Ernest Hemingway visited this bar often and had a few of their daiquiris himself! Bar La Bodeguita del Medio is another bar, the famous writer visited regularly. The Mojitos here are famed and absolutely delicious! In almost every bar you can order a very special Pina colada served in a pineapple. A must when you have a relaxing day at the beach, or like me: when you wait for the rain to pass by. One thing you notice right away when you walk around in this city, is the colorful buildings. There is street art everywhere. Often pictures of their heroes, Fidel Castro & Ché Guevara. The beautiful art on the walls is what gives the old buildings even more character. 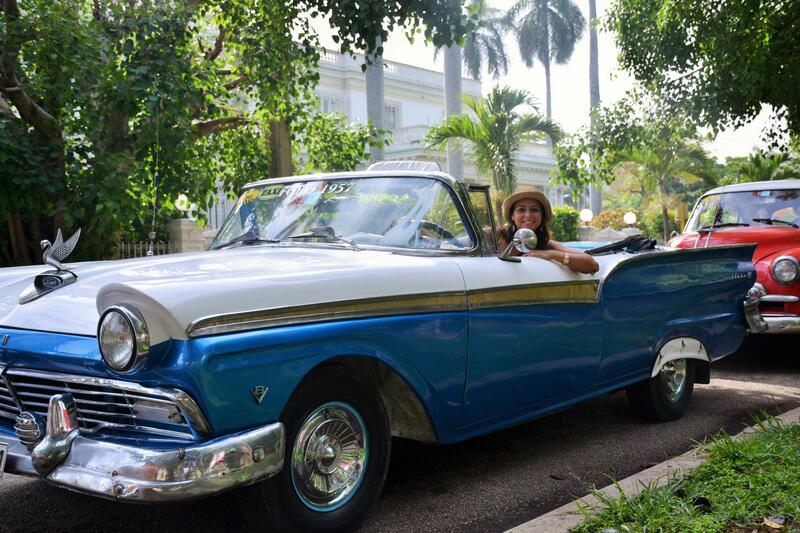 You could easily discover the city by foot but you cannot leave Havana without a trip in one of the Old timers! 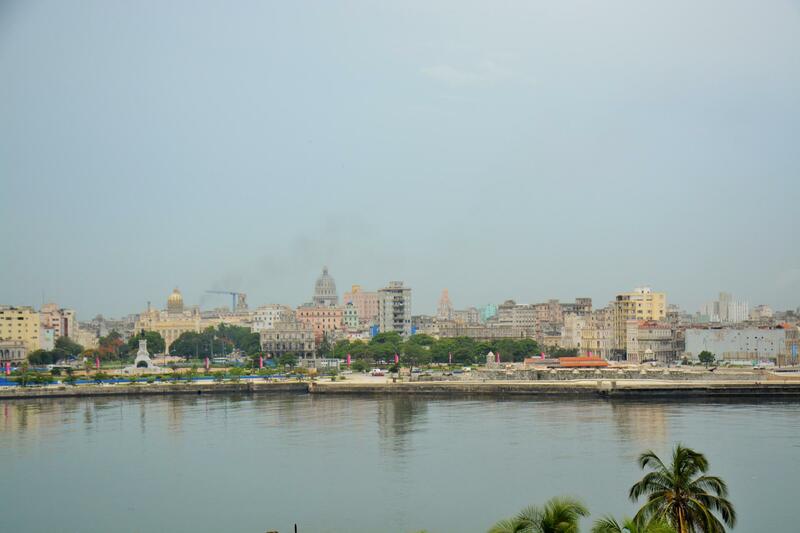 Drive by the coast or go to the fortress: Castillo del Morro, where you have a beautiful view of the Havana skyline. When you stay in Havana for a few nights you should definitely see the famous Buena Vista Social Club in Hotel National de Cuba. This group of Cuban musicians are famous worldwide and give you a wonderful live performance and a night you won’t soon forget. Before you leave Havana, make sure you visit one of the cigar factories, where you can buy your cigars as a souvenir for back home. Cuba is more than the beautiful city of Havana, even though this city might be the highlight of your trip. As I said before I always had this image of white sandy beaches in my head. 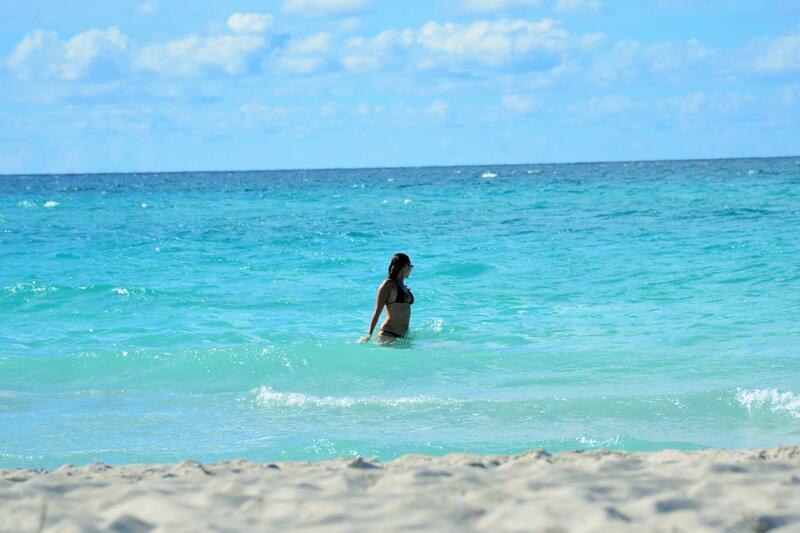 These dreamy beaches you can find in Varadero about 73 miles from Havana. Here you can find the most beautiful hotels and all-inclusive resorts. A perfect way to relax and enjoy your holiday. I stayed at the Royalton Hicacos Resort and Spa, A beautiful resort I would highly recommend. If you still want to see more of the Island, I would recommend the town Trinidad, about a 6 hour drive From Havana. 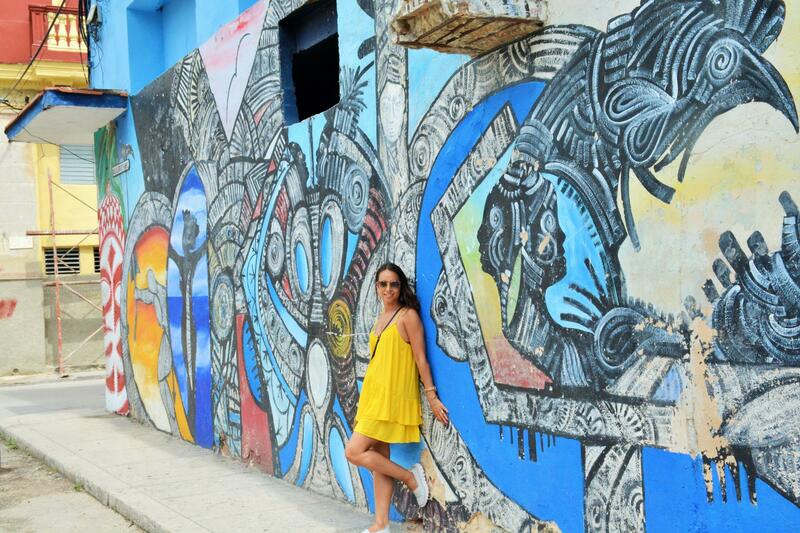 This town is not very big, but it’s beautiful and even more colorful than Havana! When you’re on your way, you should make a stop in Santa Clara, where you can find a monument and the mausoleum of Ernesto “Ché” Guevara. Very impressive! Now that the bonds between the US and Cuba have been restored, things might be changing. More and more tourists will book their holiday to Cuba, brand new hotels will be build, prices will go up and the authenticity might slowly disappear. All the features that make Cuba so special could easily turn into a touristic attraction. I’m very happy I visited this beautiful island when it was still real and authentic and hopefully it won’t change, but my advice to everyone is: book your holiday to Cuba quickly! Cause really, it might be one of the most beautiful islands you’ve ever seen! Previous Post Do your thing velvet! Wow this looks so amazing! Would love to go one day! Ahh I totally love this place dear! Would love to go there ones! You totally should, it really is beautiful! I’d love to visit Cuba, I’m incredibly jealous! You have a beautiful website! Hope you will visit Cuba some day, you won’t regret it! Wat een heerlijke plaatjes! Het maakt me toch wel een beetje jaloers, ik wil graag eens naar Cuba maar de keuze viel tot nog toe iedere keer op een andere bestemming.. Ik ben bang dat het straks “te laat” is om hier naar toe te reizen. Ik heb eerder ook vaak de keuze op andere landen laten vallen. Ben heel blij dat ik uiteindelijk toch Cuba heb gedaan. Zou het je ook zeker aanraden en ook niet te lang meer wachten! Voor meer foto’s kun je op mijn website terecht, misschien dat dat je over de streep trekt? 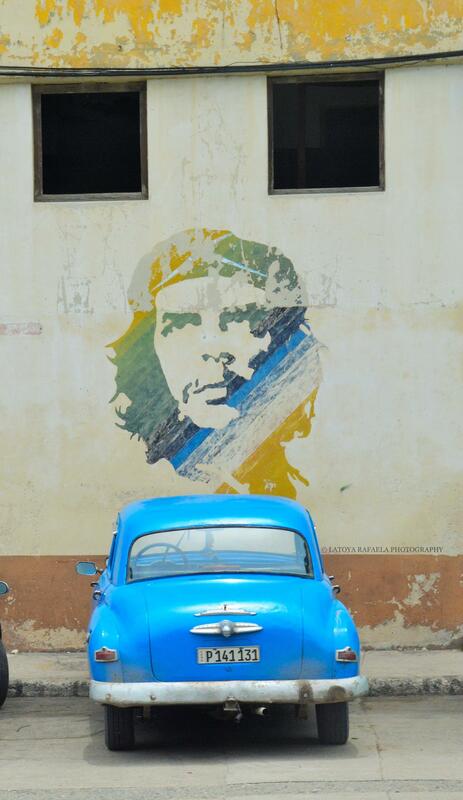 I hope you get to visit Cuba soon, you won’t regret it! Cuba looks amazing! Your pictures are beautiful. I never thought of visiting before, but I’ve seen pictures from a few people who went and it seems like the place to be before it gets to crowded. Thank you Karlie You should definitely see Cuba, its even more beautiful in real life! Hope you will get to visit Cuba soon, it’s even more beautiful in real life! Hele mooie foto’s 🙂 Ik wil al jaren naar Cuba is echt mijn dream destination! Ik snap helemaal dat Cuba je droom bestemming is. Ik hoop dat je er binnenkort naar toe kan gaan. Het zal zeker niet telleurstellen. Oh my, you’ve just given me another reason to visit Cuba. It is not my favorite destination, but you just made me add to my list. Nice place and I adore the street art. WOW…!!! Nice view of cuba.Nice pictures.It’s great idea to visit cuba. Thanks for sharing.